Purge your cupboards, keeping only what you need, then put everything back in zones, says Lufkin. 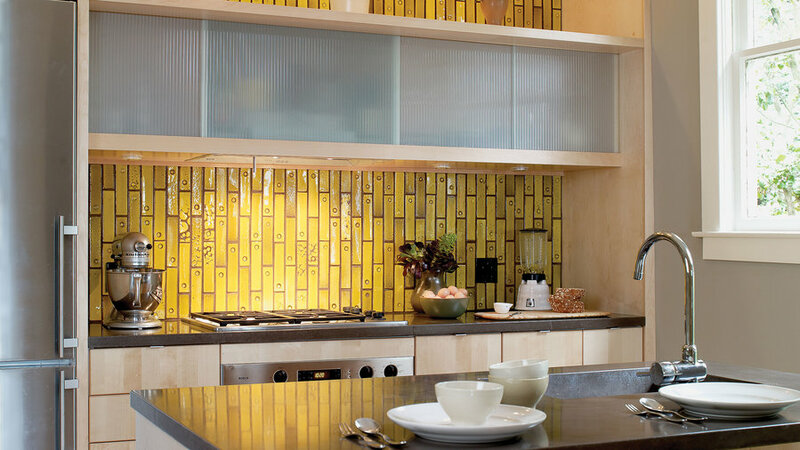 Put coffee, tea, cereal, vitamins, and juice glasses all in one spot for easy mornings. Put your everyday cups, mugs, plates, and bowls in the cupboards around the dishwasher and unloading becomes a snap. 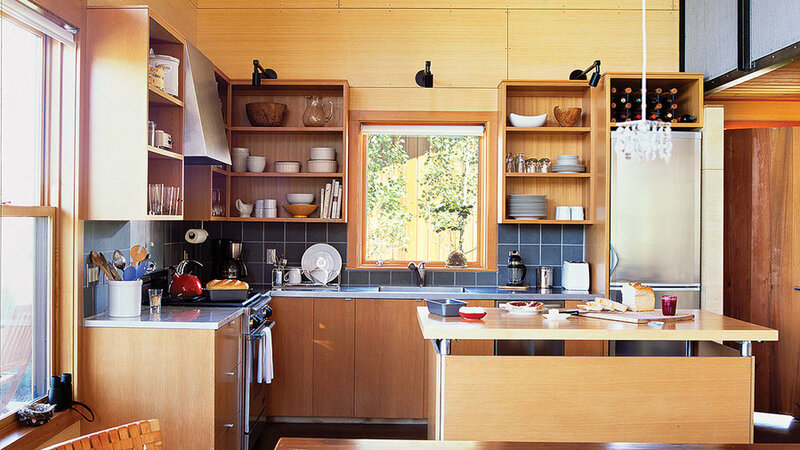 “Stand at the sink and ask yourself, ‘What do I really need here and what’s clutter?’” Lufkin says. 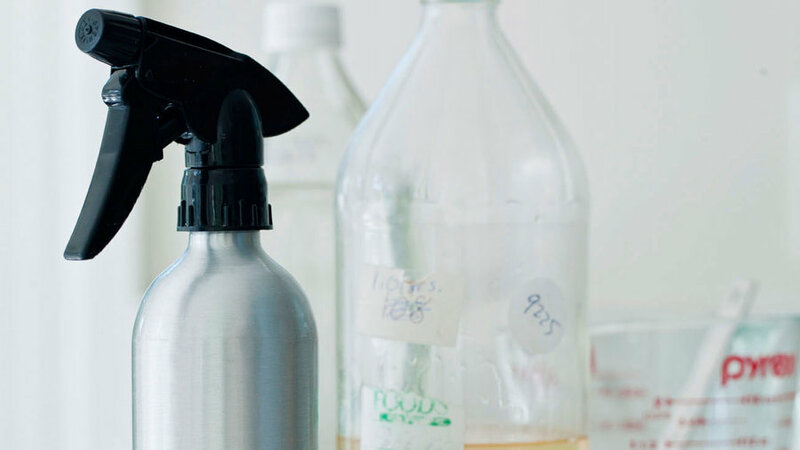 Hand soap and sponges (stored in a container, not left on the counter) are the only essentials. 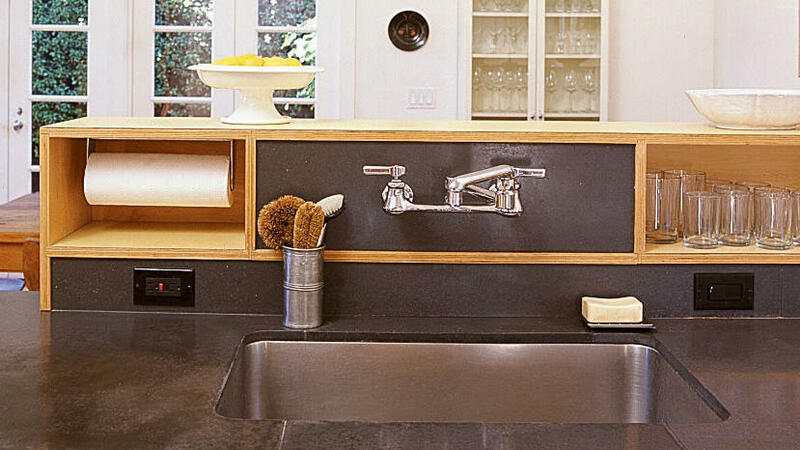 Stow everything else under the sink. Trays are Lufkin’s secret weapon for counters. Put what you use every day—salt, pepper, olive oil, herbs, and a small jar of wooden spoons and a whisk--on a tray in your prep area. Bonus: It’s easier to wipe the counter clean by removing the tray, not a dozen small containers. 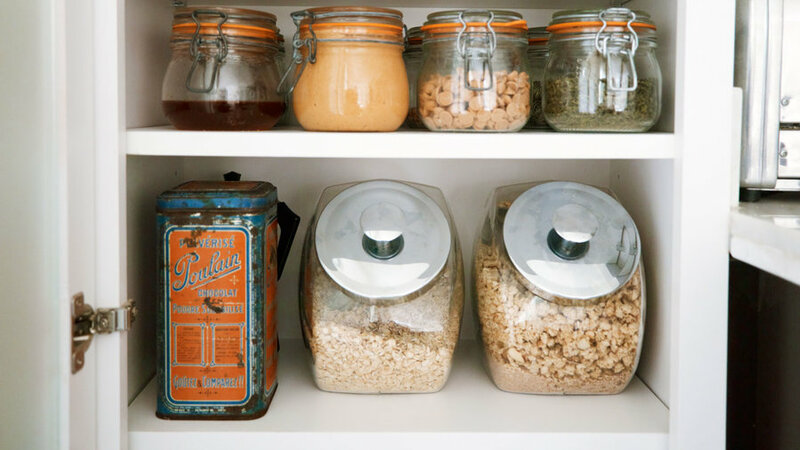 A mishmash of packaging shapes and sizes means you’re probably not fitting as much into your pantry as you could. Shop for organizing containers that fit neatly together, then decant everything, Lufkin says. It looks better, fits more, and you can see when you’re out of a staple. “From kid to teen, the toys will change but you’ll still have storage issues,” Lufkin says. 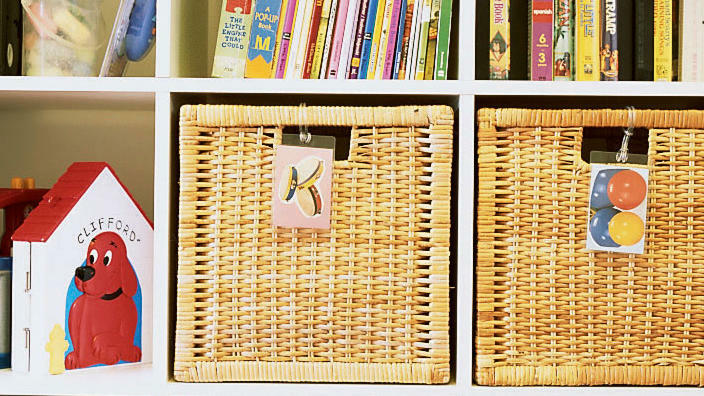 “Buy organizers you can use in every room of your house. 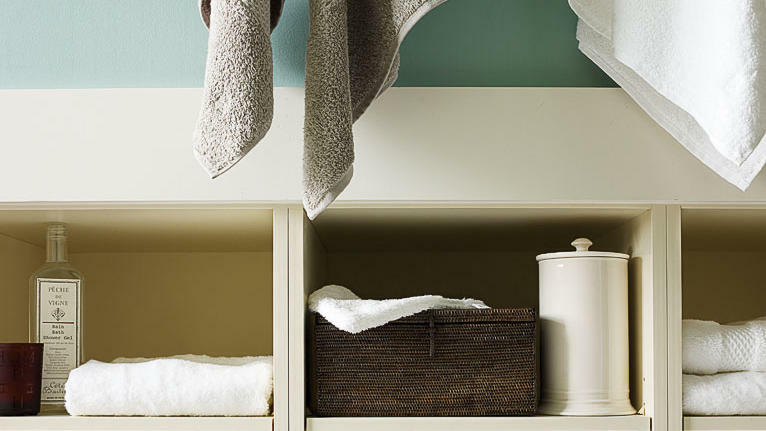 When you don’t have baby or kid stuff any more, you can use it in your master bedroom or wherever.” She recommends clean, contemporary linen-color baskets with labels. 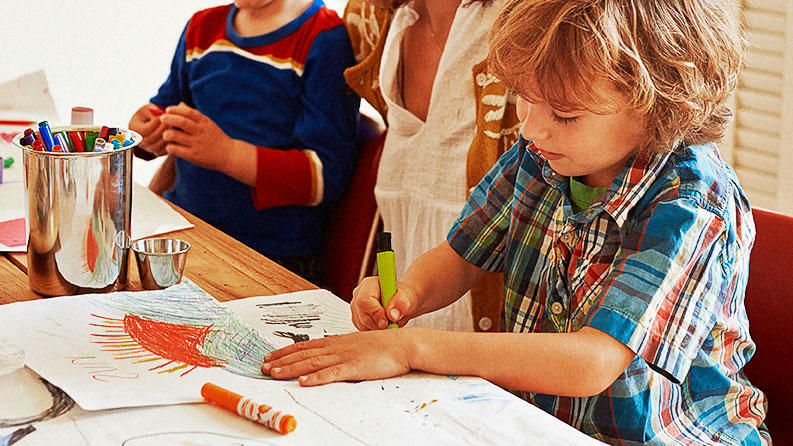 The piles of noteworthy papers and drawings take more than a container; they need a routine. Lufkin recommends assigning each child a large cardboard organizing box or bin. As paperwork comes in, date it, and then put it in the bin. 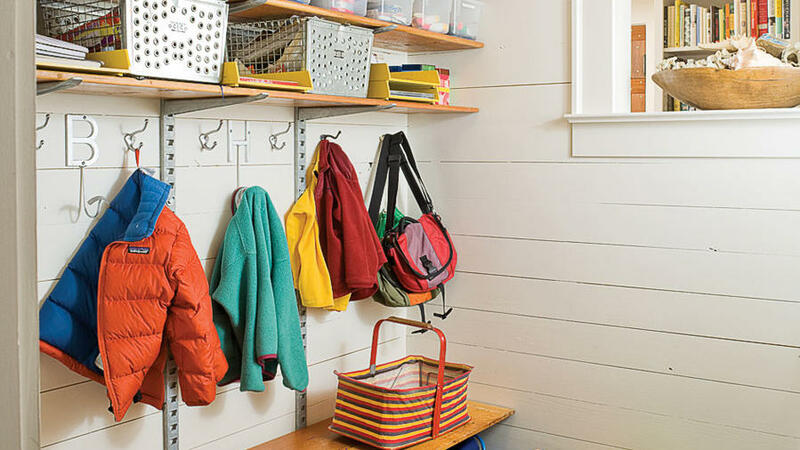 As soon as school’s out, go through the bin and have the child pick his or her favorites—these go in permanent storage, the rest get tossed. Fold linens, always, then place complete sets in large muslin laundry bags with a drawstring and stack them, Lufkin says. 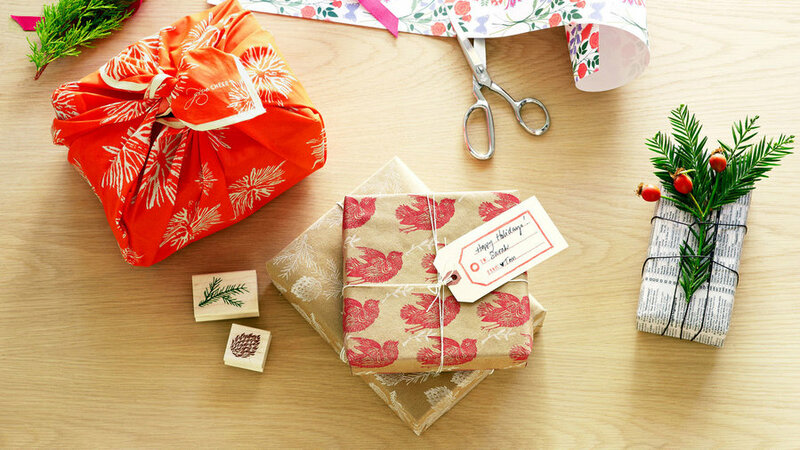 The bags are washable, inexpensive, and you can easily hang a key tag with the set’s size from the string. A cookbook stand is Lufkin’s choice for managing her week. She sets coupons, a grocery list, and her calendar on the stand, and you could add cards that need to be sent and papers that need to be signed. If not a cookbook stand, use a bulletin board or repurpose a magazine holder, she says. After planning the week’s menu, place it in a magazine holder with the cookbooks and magazines you’re cooking from that week. 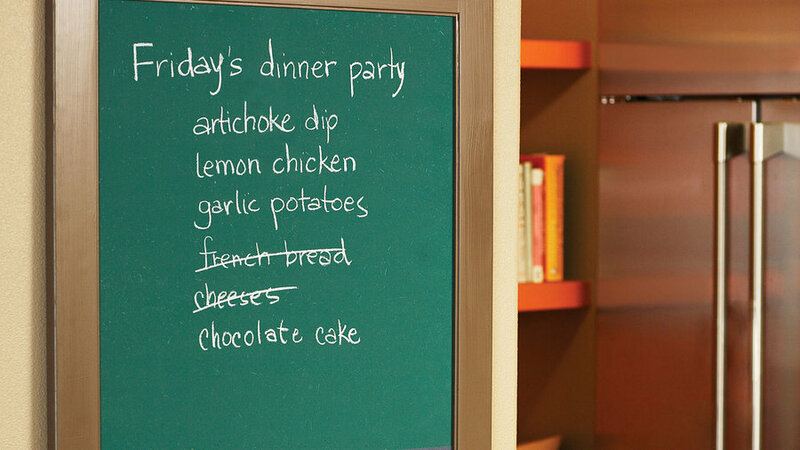 Store it by your cookbooks to eliminate the hunt for the night’s recipes. Use binders to file printed recipes or those torn from magazines. If you make a recipe and it’s not destined to become a family favorite, toss it, Lufkin says. On-time and organizing gift giving starts with a notebook (or list on your phone) small enough to carry with you. When a friend or family member mentions something they might like, write it down as soon as you can, then keep an eye out for it. Buy it when you see it, then cross it off your list. When birthdays and holidays roll around, check who you haven’t purchased for yet, and fill in the gaps. For hostess gifts, buy multiples of a non-perishable item you love, like wine, and keep them on hand.